Discover the finest restaurants on the exclusive island of Capri compiled by Flying Charter, one of Italy’s premier yacht brokerage firms. 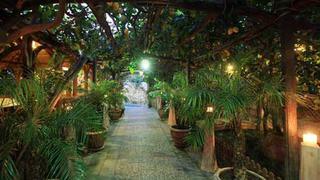 Under Paolino’s lemon trees, moonlit evenings have an even more bewitching power at the De Martino brothers’ restaurant. Set in a wonderful lemon garden, Paolino serves only the very best products including fresh fish, excellent meat and a fine selection of wine, as well as magical moments as witnessed by a host of celebrities who have contributed to the success of this enchanting place. 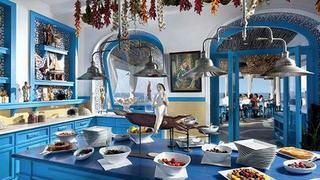 L’Olivo is the only restaurant on the island of Capri to have been awarded two Michelin stars. It is here that the talented Chef Oliver Glowig exercises his culinary genius. 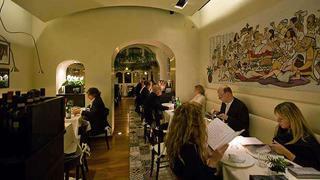 L’Olivo’s dining room is very elegant and intimate. 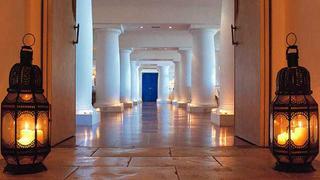 On summer evenings the large terrace provides the setting for a wonderfully romantic candlelit dinner. 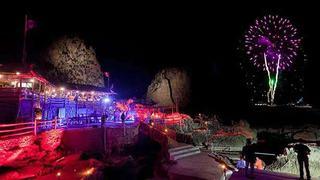 Harkening back to the 1950s, Il Riccio is a sea-edge seafood restaurant nestled between rock and sea, just a few metres from the legendary Blue Grotto. 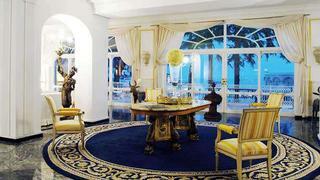 This restaurant was the popular hangout in the 1960s for people like Jackie Kennedy and Aristotle Onassis. Guests can eat, sunbathe and swim. The restaurant is easily accessible both by car and by boat — even large vessels, which will be assisted on arrival, can use the floating buoys. The Quisi Bar, on the terrace of the hotel, is where the world’s celebrities habitually gather for an aperitif or after-dinner drink. A combination of soft lighting, candles and live music create the magical atmosphere of the Quisi, Grand Hotel Quisisana’s gourmet restaurant, where traditional regional cuisine is given a new contemporary twist, and each and every meal is transformed into a gastronomic journey exploring the flavours and aromas of the Mediterranean. Attention to detail and excellent international cuisine make for an elegant atmosphere in what is exclusively an evening restaurant. This restaurant is a magical place. Here at the feet of the famous Faraglioni Rocks, nature is at its best. It is also a historical place, where Roman emperors once made it a place of leisure and delight. The Arcucci and Gargiulo families have passionately and lovingly maintained La Fontelina for over half a century, caring for every detail. Their hospitality is proverbial; their cuisine is unique and unforgettable. The restaurant is open only for lunch. 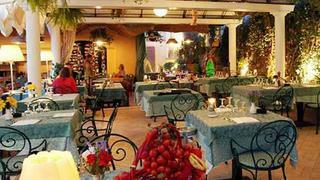 Located in the centre of Capri, this restaurant is casual with a homey atmosphere where you will feel comfortable in a pair of jeans and a T-shirt. Aurora has gained wide spread international acclaim for its excellent Mediterranean cuisine and for its traditional Neapolitan and Caprese specialties. Chef Franco Aversa adds a pinch of creative flair, which places the Aurora among the best restaurants on the island. Immersed in beautiful gardens in the heart of Capri, this restaurant has an elegant dining room leading out onto a large covered terrace. Guests will find it hard to resist the excellent Mediterranean cuisine with a vast menu featuring a superb selection of fish and seafood, countryside dishes from rural Capri and pizzas cooked in a traditional wood-burning oven. 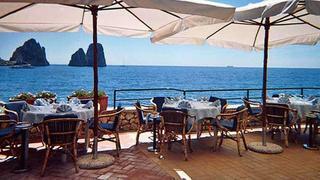 A historic restaurant with a view of the Bay of Marina Piccola and the Faraglioni rocks. In the 1940s, the British music-hall comedienne Gracie Fields fell head-over-heels in love with the Island of Capri and, in particular, with an old fort overlooking the Bay of Marina Piccola and the Faraglioni. It was here that she realized the Canzone del Mare bathing establishment and, at the same time, created what was soon to become one of the island’s finest eateries. Today, as in years past, clients dining at Restaurant Canzone del Mare enjoy Capri’s excellent fish cuisine and an array of Mediterranean specialties, served in the main dining room, in the veranda or on the magnificent sea view terrace.